Bring Your Players Together With This True Story. Be inspired by a true story of perseverance and team. Get 20% + the Teammates Matter Study Guide when you order 12 or more copies. 42 page downloadable study guide for you and your team. What does it mean to be the kind of teammate your teammates need you to be? As the culture tries to convince us that the name on the back of the jersey is more important than the name on the front, we believe that winning teams don’t think this way—they know everyone’s role is valued and that more is accomplished when individuals aim beyond themselves. During his basketball career at Wake Forest, Alan Williams played only 59 minutes in 4 years. Why was it worth it? What kept you coming back? These were just a few of the questions a newspaper reporter asked Alan near the end of his career. In response, he wrote Teammates Matter— Fighting For Something Greater Than Self. Unlike many sports stories, these pages are not filled with game winning shots or heroic moments. Instead, this story is predicated on a genuine love for the game and memories with teammates that go way beyond the box score in the morning paper. Amidst laughter and tears, Williams redefines success and offers a unique view of what it means to be a teammate. This moving story shows how a seat on the end of the bench, a father’s battle with cancer, and the sudden death of a coach teach a walk-on to find fulfillment in unexpected places. In the end, you’ll find this true story is really not so much about basketball, but a reminder of your own story and the opportunity that we all have to be a part of something bigger than ourselves. Regardless of what you play or who you coach — in sports, business and life —the lessons we learn on the court and in the locker room will endure long after your playing days are over. 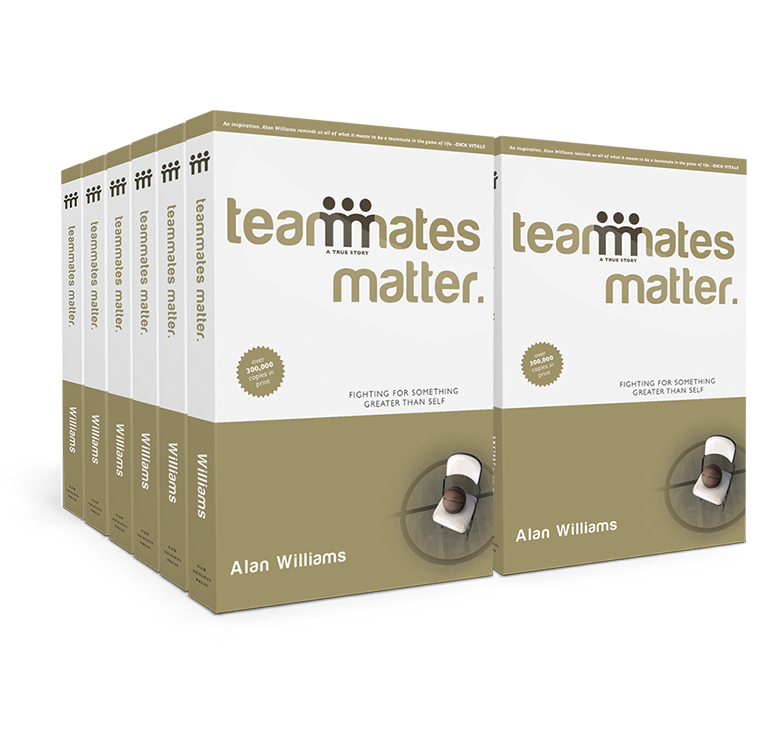 Alan Williams is a bestselling author and the founder of Teammates Matter—a series of school programs dedicated to PUTTING PERSPECTIVE BACK INTO TEAM. Over 700,000 athletes, parents, and coaches have been impacted by these seminars and online resources. During the past 10 years, Alan has spoken to numerous Fortune 500 companies and worked closely with organizations such as FCA and the V--Foundation for Cancer Research. 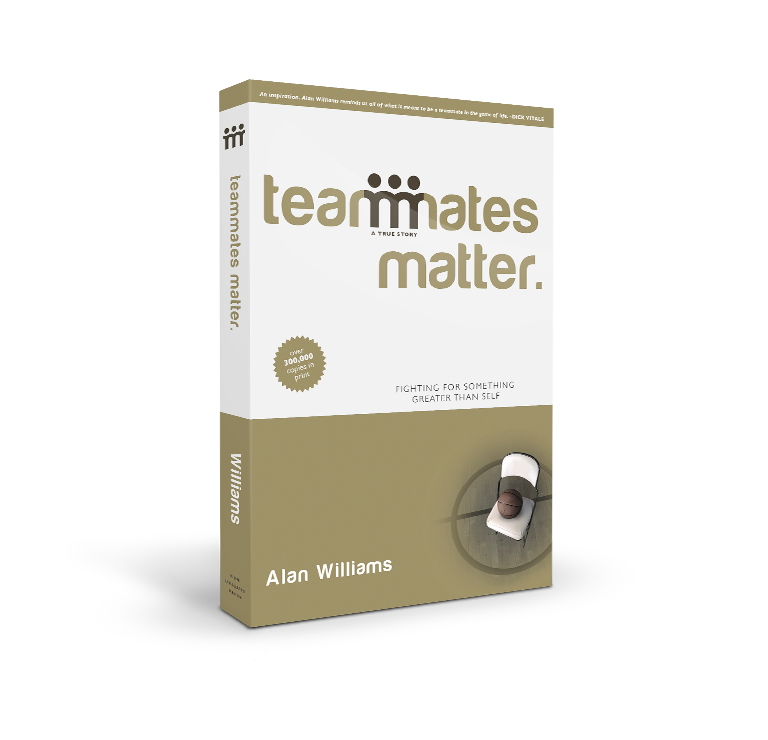 With over 300,000 copies in print, Alan is the author of Teammates Matter—a culmination of memories and lessons learned as a walk-on basketball player at Wake Forest. In high school, Alan was no stranger to success—he was the all-time leading scorer at his high school in Memphis, TN and a finalist for Mr. Basketball. During college, Alan played on an ACC Championship team as well as 4 NCAA tournament teams – one of which was led by current NBA All-Star Chris Paul.